I feel so geeky. I came up with this here idea and if it’s already been done, don’t tell me because I’m feeling all smart and stuff. If it hasn’t been suggested before, you’re welcome. I love digital scrapbooking. It’s fast. It’s easy. It’s fun. The thought occurred to me that it would be way-cool to have a smart phone, which I don’t, and, while looking through a digital album, be able to watch the videos that go with the story in the album by scanning QR codes on the album pages with that phone I don’t have. BUT, if you have a smart phone and digital scrapbook, you can enjoy this lovely memory-keeping luxury. 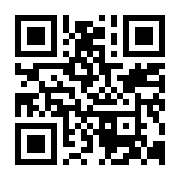 I found a couple of QR Code Generators you can use so you, too, can place a link to your YouTube videos in your scrapbooks. The first one is Smarty Tags and is what I used to generate the above QR Code. It was SO simple. Again, you’re welcome. The other one is Kaywa and is just as simple. Copy and paste the link, click, voila – you have your code. Download your code then you’re ready to add it to your scrapbook page. FYI, I use Storybook Creator 4.0 for my album-making. 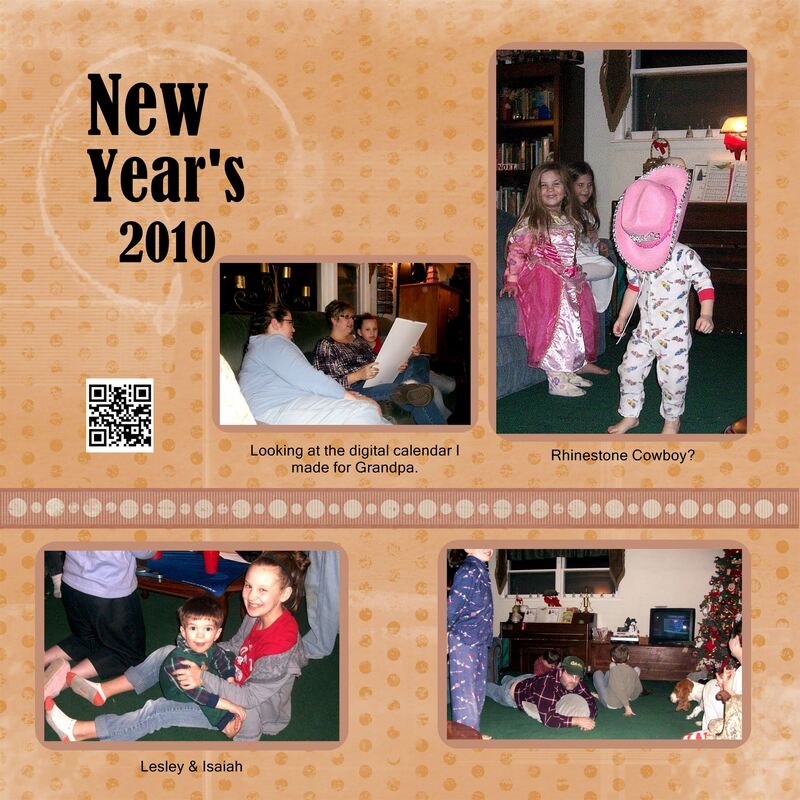 I made the following page on Storybook Creator and I just grabbed the first page I came to so the video link is a little misplaced as it’s from January 2010 and Seth wasn’t born until the next month but I just wanted to give you an idea of how you could use this. You could label the Code, if desired. You could have a page set up comic book style that’s one QR Code after another. There are so many possibilities! You could make a digital cookbook and add how-to videos. Gift albums for grandparents would, of course, include videos from the grandkids. I’m hoping that I will be starting an album for a special group of people with thank you messages from folks from all over the country (and from a few other places) scattered throughout the album. A wedding album would have all those well wishes included throughout the candid pages. Or a simple miss you message at the end of an album sent to a loved one serving in the military abroad. You just got choked up at the thought, didn’t you? I hope you’re inspired. Like I said, I was feeling all clever and stuff and thought you might enjoy playing with this little idea. Enjoy! Posted on February 13, 2012, in Curator of the Museum of Memories and tagged Geekness, Memories, Scrapbooking. Bookmark the permalink. Leave a comment.